From Goodreads: Earth. Fire. Air. Water. Kemmerer’s Elemental series has been my guilty pleasure for a few years now. And with this novel, Kemmerer has technically closed the story with this final chapter of the Merrick brothers, giving readers Michael’s story as it all comes to a head. And yet… I’m not certain it’s really over. 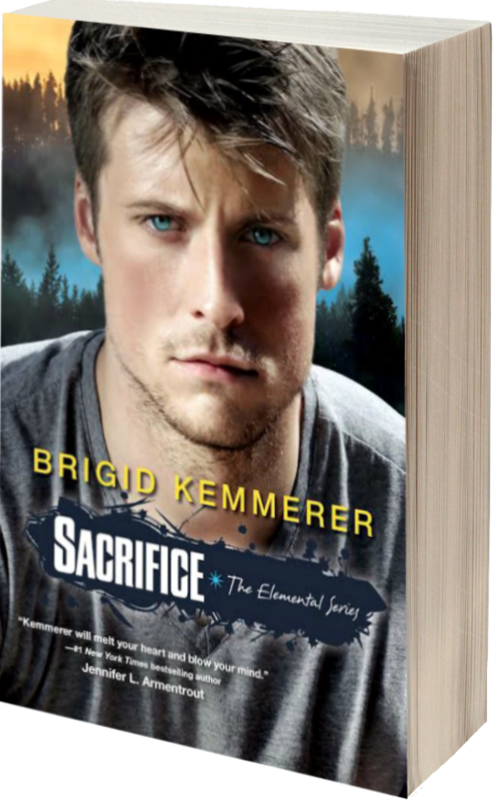 Of course, Kemmerer did leave me stunned with one aspect that I knew was coming from the title, SACRIFICE, but still didn’t expect. I spent the next few pages hoping it’d be undone, but alas, it’s not. You might want some tissues. I think I was stunned enough that I didn’t even blink. No tears for me, it just… can’t be. Right? And it happens so fast that if you do blink, you’ll miss it. I really have no words. Except that you must read it. If this is really the end, then you just have to read it, but I’m still waiting. For more. I need more. The Merricks are a part of me now, and… I just need more. Four stars. I received this novel from Kensington Books, via Netgalley, in exchange for an honest review. This title releases on September 30, 2014. Brigid writes anywhere she can find a place to sit down (and she’s embarrassed to say a great many pages of The Elemental Series were written while sitting on the floor in the basement of a hotel while she was attending a writers’ conference). Most writers enjoy peace and quiet while writing, but Brigid prefers pandemonium. A good thing, considering she has three boys in the house, ranging in age from an toddler to a teenager. 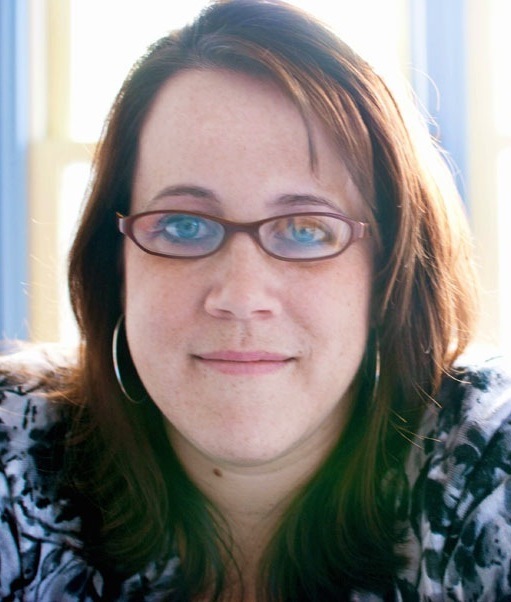 You can learn more about Brigid and the Elemental boys at www.brigidkemmerer.com. Pre-order your copy of Sacrifice today! Yes! There needs to be more! There was too much that was a little confusing and the ending was much too abrupt.